Would anyone in their right mind really travel to a seemingly barren lump of volcanic rock in the middle of the Atlantic with the unattractive name of Iceland? The word missing from the above sentence is ‘not!’ The magical, beguiling, enchanting country of Iceland should really be renamed Wonderland. A destination unlike almost any other you’ve ever visited, Iceland will draw you in like the Siren of classical myth, seduce you, then leave you desperate for more. So, what is so special about a lump of volcanically active rock, stuck in the middle of the icy waters of the North Atlantic ocean, with a dreadful climate and some seriously repellant food? The answers lie in the question itself. Iceland’s extremely active vulcanism means you can almost feel the land under your feet breathe. Volcanic gases rise from the ground all over the island, like breath in the frosty morning air. Hot springs, geysers and subterranean magma are like the bloodstream of a living thing. The challenge presented by the ever-changing weather makes you glad to be alive to face it. And the food? Ninety-nine per cent of it is great, but the occasional ‘delicacy’ is something every self-respecting traveller should be prepared to try. By almost any measure, Iceland is a very young country. In geological terms, it’s almost a newborn. The island owes its existence to the presence of the Mid-Atlantic Ridge, a boundary between the Eurasian and North American tectonic plates which are being pushed apart by the same volcanic activity which created Iceland. The first volcanic rock which broke the surface of the Atlantic Ocean to form Iceland did so around 16 million years ago, a mere blink of an eye in geological time. More and more land was created by the vulcanism, a process which continues to this day with the island of Surtsey, for example, only being created between 1963 and 1967. Iceland is also very young in human terms. The very first settlers were Irish-Scottish monks, seeking isolation for their ascetic lifestyles. 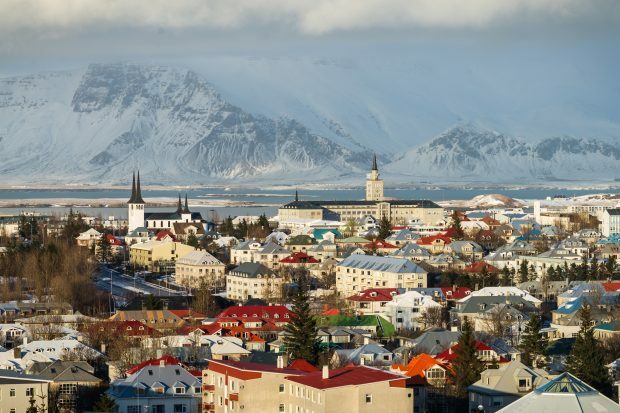 They were named Papar by the first Norse settlers who arrived on Iceland in 874 under the Norwegian chieftain Ingólfr Arnarson and settled in what is now Reykjavik, Iceland’s capital. These Norse settlers were quickly followed by others who claimed and settled most of the country’s arable land as early as 930. In that same year, 930, the world’s oldest national parliament, the Alþingi (Althing, in English), was established at Þingvellir (Thingvellir, parliament fields). This assembly was formed to legislate in disputes, decide on the country’s laws and dispense justice. The Althing ran continuously right up until 1800. It was restored in 1844 and moved to Reykjavik, where it has remained ever since. Most of these early settlers were from Norway, but there were Swedes and Danes, as well as Irish and Scottish thralls. Their language was Old Norse, which later died out in Scandinavia. Modern Icelandic is descended from this and retains the use of the letters Þ(þ) and Ð(ð), to represent the ‘th’ sounds of ‘thing’ and ‘the’ respectively in modern English. The fact that most of the agricultural land in Iceland was claimed early in the country’s history acted as a spur for the migration of some of Iceland’s people to the newly discovered Greenland. This began in 986 when the explorer Erik Thorvaldsson, known as Erik the Red, discovered Greenland and founded three settlements in the new land. In the ensuing centuries, the hardy people of Iceland had to suffer many hardships, both natural and human-made. After Iceland came under the rule of the Kingdom of Norway in 1262, then the Kalmar Union in 1415, it became poorer. The arable land was all being used and the Black Death struck the country in 1402-1404, killing around 60% of the population. The plague struck again in 1494-1495, this time taking almost half of those living in Iceland at the time. Control over Iceland later passed to the Kingdom of Denmark-Norway and the Danes imposed harsh trade restrictions, further impoverishing Iceland. During all this, other natural disasters struck, such as the 18th century Smallpox epidemic which killed around a third of Icelanders. The eruption of the volcano Laki in 1783 caused dust to fill the atmosphere of the northern hemisphere leading to the death of much of Iceland’s livestock and a famine which killed about one-quarter of Iceland’s people. Throughout all of this, and more, the tough Icelandic people endured and by the 19th century an independence movement, inspired by the Romantic Nationalism of mainland Europe grew up. Iceland was granted a constitution and limited autonomy by Denmark in 1874, later expanded in 1904. The nation was declared a sovereign, independent state in a personal union with Denmark in 1918 and, following a referendum in 1944 in which 97% voted to end the union, and 95% voted in favour of a republic, the fully sovereign, independent Republic of Iceland was declared on the 17th of June, 1944. Following the war and independence, Iceland’s economy boomed. The hugely important fishing industry was rapidly industrialised, the country was modernised and the economy diversified. A further boom, after Iceland joined the European Economic Area in 1994, made the country one of the most prosperous in the world. Even though the financial crash of 2008 badly hit Iceland, this resilient little nation bounced back rapidly and the economy is growing again, fuelled to a large degree by a huge increase in tourism. So what sparked this sudden surge in tourist numbers? The answer to that really comes in two parts. In the years running up to the financial crash of 2008, Iceland had turned in large part to the banking and financial sectors to boost its economy. This meant that when the sub-prime mortgage bubble burst in the US and the subsequent chaos engulfed financial markets around the globe, Iceland, with its tiny population was harder hit than any other country on Earth. As the value of its currency tumbled, Iceland suddenly became a far more attractive destination for the adventurous traveller, previously put off by the high cost of coming to the country. Then, just two years after the crash, what could potentially have been a disaster for Iceland turned out to be a highly unlikely boost for the country’s already booming tourism industry. The eruption of the Eyjafallajökull volcano spewed a cloud of dust and smoke into the upper atmosphere causing massive disruption to flights, particularly in Europe. Suddenly, the eyes of the world were turned towards this bleak northern outpost and Iceland saw its chance. With news crews from across the globe coming to Iceland with their cameras, the opportunity was there to promote Iceland’s stark volcanic beauty as never before. A government-funded advertising campaign, ‘Inspired by Iceland,’ was quickly organised and this had a hugely positive effect. Since the eruption in 2010, tourist numbers have rocketed and, while this is not without its downsides, the overall effect has been to rescue the Icelandic economy from its parlous state following the financial crash. Double-digit growth in the percentages of tourists visiting the country has seen the economy bounce back quicker than would otherwise have been possible and the overall picture has been positive. Those visiting Iceland, who last year outnumbered the local population by almost seven to one, will be treated to some of the most outstanding natural sights to be found anywhere on our planet. From within easy reach of the capital Reykjavik, to the furthest reaches of the island, there is something to see almost everywhere in this amazing country. Given Iceland’s volcanic birth, it is vulcanism which, to a large extent, has created the country’s unique landscapes and attractions. Even the name of the capital city is a result of geothermal activity. The name Reykjavik means ‘smoky bay’ and the area where the city now stands was given this name as there are naturally occurring hot springs from which steam arose. 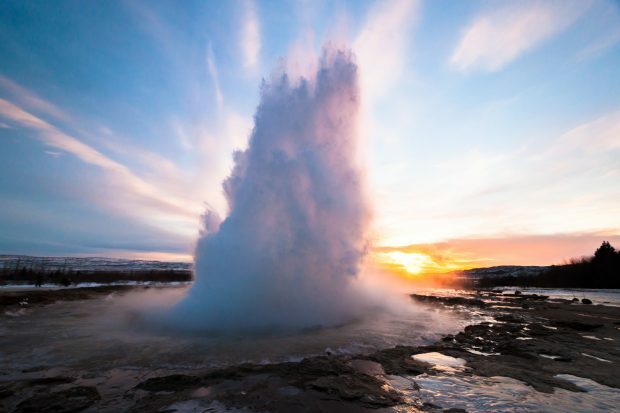 One of the most popular day trips from Reykjavik involves visiting the attractions of the ‘Golden Circle.’ Easily completed in a day, and served by numerous bus tours, the Golden Circle comprises visits to Þingvellir, Geysir and Gullfoss. Þingvellir, as already mentioned, was the site of the Icelandic parliament, the Alþing, but it is also an active site of plate tectonics where you can experience the unique thrill of walking between the tectonic plates that form the Eurasian and North American land masses. Geysir, in Haukadalur, is the site of the famous geysers (which take their name from the now dormant Geysir), such as the very active Strokkur, which erupts every few minutes in spectacular fashion. The last stop on the Golden Circle is the breathtaking Gullfoss, a huge waterfall on the Hvítá river. A pathway leads from the visitors’ centre alongside the ravine into which Gullfoss empties and right down to the water’s edge at the upper falls. After this, the river plunges over a 70ft precipice into the ravine, at right angles to the waterfall itself. A perfect example of the raw power and elemental force of nature in Iceland. For those more interested in visiting volcanoes, there are over thirty active examples in Iceland. These include, of course, Hekla, one of the most active, also known as the ‘Gateway to Hell.’ Recent scientific reports indicate that Hekla may be due for another of its frequent eruptions any time now. 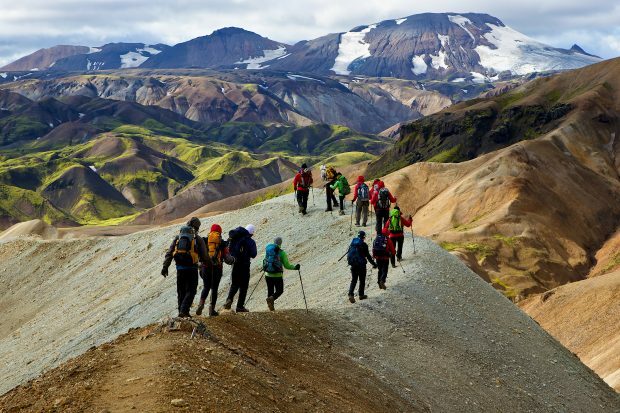 The more adventurous can visit Þríhnúkagígur, the only volcano in the world which you can go inside of. A lift will take you down to a depth of 120m (almost 400ft) inside the huge magma chamber. Katla is considered one of Iceland’s most dangerous volcanoes as it is situated underneath the Myrdalsjökull glacier and any eruption can lead to massive glacial flooding. Alongside the fire of its volcanoes, Iceland is also the home of a number of glaciers. The largest of these is Vatnajökull, which is almost as large as the islands of Corsica or Cyprus, covering over 3,000 square miles (8,000m2). Vatnajökull is situated in the south-eastern part of Iceland and is easily reachable from Iceland’s famous Ring Road. Vatnajökull itself has approximately 30 outlet glaciers which provide an almost endless scope for adventure. Glacier walking is illegal without a guide but guides are easy to hire and hiking on these glaciers is an unforgettable experience. The second largest icecap on Iceland is Langjökull, only around 90 minutes drive from Reykjavik. This glacier is a paradise for snowmobiling, even in summer and features several natural ice-caves which can be visited while touring the glacier. Other glaciers to be found in Iceland include Mýrdalsjökull and Snæfellsjökull, made famous by author Jules Verne as the location for the passageway that led down to the centre of the Earth. 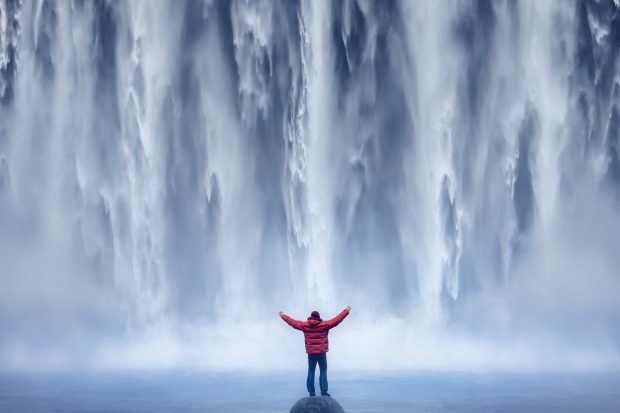 Iceland is a magnet too, for waterfall hunters. With so many glaciers and snow-topped mountain peaks, the country abounds with rivers and its craggy, volcanic landscape means the country is home to an astonishing number of incredibly scenic cataracts. In addition to the aforementioned Gullfoss, we have many others, some of which are among the most famous and most photographed in the world. Places like Seljalandsfoss, Skógafoss and Goðafoss are iconic sights and not to be missed when visiting Iceland. Iceland’s coastal areas too are full of natural wonders. The westfjords up in the north-western part of the island are reminiscent of Norway’s magnificent fjord country but minus the trees, similar to Scotland or the Faeroe Islands. On the southern coast, you can visit the spectacular beach of Reynisfjara with its black volcanic sand, hexagonal basalt columns and jagged sea stacks rising out of the icy ocean. Eastern Iceland offers no less in the way of natural attractions. The area is furthest from Reykjavik and very sparsely populated, as well as being the quietest, least visited part of the country. 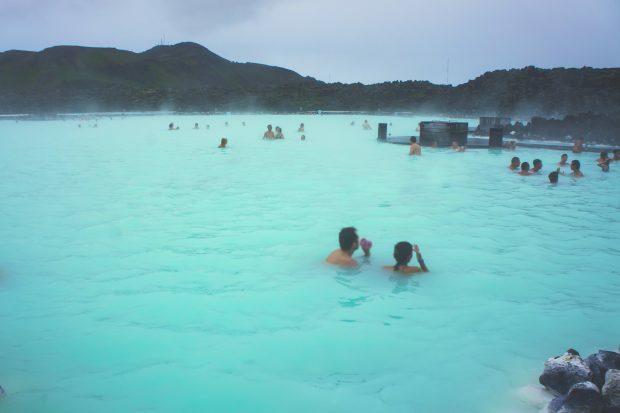 Here too you can find black sand beaches, volcanoes, geothermal pools, mountains, waterfalls and even Iceland’s version of the Loch Ness Monster. Up in the north, the story is the same. Natural wonders can be found in abundance, such as Europe’s most powerful waterfall, Dettifoss, immortalised in the opening scenes of the film Prometheus. Basalt columns, lava caves, mud pools, rock formations and more are to be found in this remote part of Iceland. Because of its geological youth, Iceland doesn’t have much in the way of large land-based fauna, but the country is known for the famous Icelandic Horses, which can be seen all over the island. These small, pony-sized horses were bred on Iceland and are as tough, durable and resilient as the Icelandic people. Muscular, short legged and with a thick double coat to withstand the low temperatures on Iceland, these horses are known for their strength, stamina and sure-footedness in Iceland’s often rough terrain. They have become one of the country’s most recognisable icons and can change hands for huge sums of money. The only native land mammal is the arctic fox, although other animals such as reindeer have been introduced by humans. Most of Iceland’s wildlife is to be found in the air or in the rich waters off the country’s coast. Among the bird species which can be seen here are puffins, sea eagles, guillemots, skuas, auks, numerous species of ducks and geese, gyrfalcons, plovers, snipe, ptarmigans, ravens and more. The rivers of Iceland are famous for their salmon and trout. Some of the best salmon rivers include the Laxá í Aðaldal, Jökla, Láxá í Kjós and Norðurá and many anglers come to Iceland. Sea fishing is very popular too. The cold waters around Iceland, just south of the Arctic circle are nutrient-rich and support huge numbers of animals. Fishing tours can be found in many locations throughout Iceland and the super-rich waters around the island make it a Mecca for sea anglers. For those who just wish to observe the life to be found in the sea, there are diving tours one can go on but most of us would opt for whale watching. This is one of the most popular activities undertaken in Iceland and there are whale watching tours based in many coastal communities all around the coast. 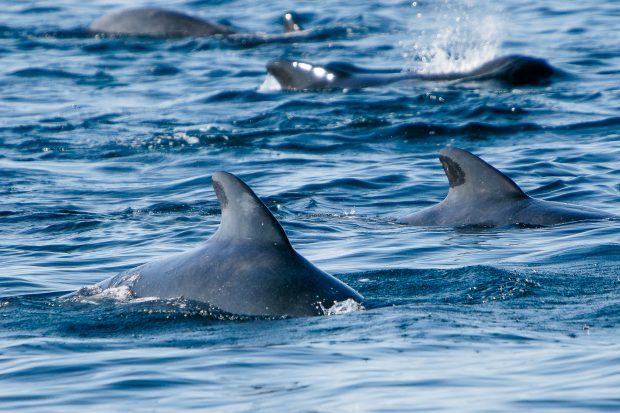 The whales most commonly seen are Minke but there are several species you may be lucky enough to encounter such as humpbacks, white-beaked dolphins, harbour porpoises, orcas and the occasional blue or fin whale, the two largest species on earth. It’s a very unlucky tour which does not spot some whales when in Iceland. Although regarded mainly as descendants of Norwegian and other Scandinavian settlers, the Icelandic population shows a surprising amount of Irish and Scottish DNA. It appears most of this comes from the maternal line and would indicate Norse men marrying into Celtic lineages when settling in Ireland and Scotland before coming to Iceland. There is also a very small amount of DNA which links some Icelanders to Native American/First Nations descent. This, doubtless springs from the short-lived Norse settlements in what was called Vinland, in present-day Canada. As mentioned, the language is descended from Old Norse and is the closest living language to it. The original Icelandic settlers were pagans following the old Norse gods but adopted Christianity around 1000CE, becoming Lutheran in later years as a result of the Reformation. Modern-day Iceland has seen some immigration from elsewhere, with people bringing their religions. Poles brought Catholicism back to Iceland but there are tiny communities of Buddhists, Muslims and Jews to be found nowadays too. The traditional diet of Icelanders was heavily dependent on fish, lamb and dairy products, but nowadays pork and beef supplement this. 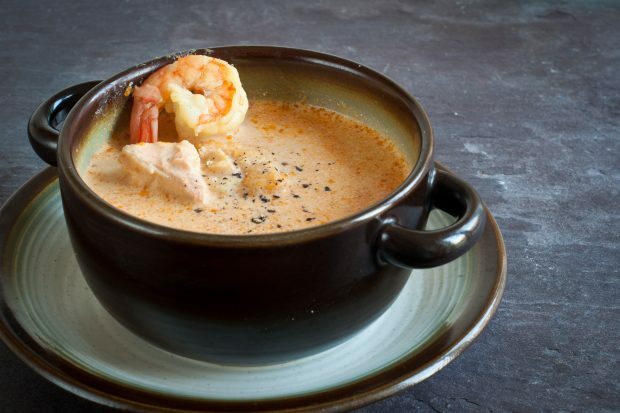 One form of traditional Icelandic fare is known as Þorramatur. 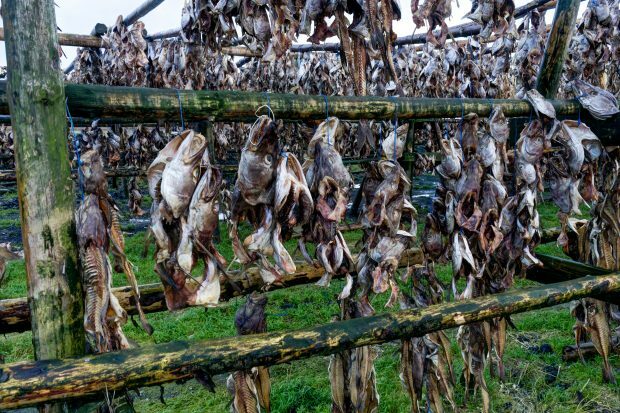 This consists mainly of fish and lamb products cured in traditional ways served along with dark rye bread in the form of a buffet. Occasionally seal flippers and whale blubber may be included. The use of horse meat is relatively common in Iceland too. No mention of Icelandic cuisine, though, is complete without the inclusion of the infamous Hákarl. This is the stuff that many a culinary nightmare is made of. A Greenland shark is gutted and beheaded then buried in a pit of gravelly sand, covered with sand and then stones to press the body down, removing fluids. The shark is left to ferment in this pit for up to twelve weeks. It is then dug up, cut into strips and left to hang for several months. During this time it develops a brown crust which is removed before the shark is cut into small pieces and served. Hákarl is sold in Icelandic shops and can be consumed year-round but is really popular along with Þorramatur buffets most common in midwinter. Opinions vary on its level of deliciousness but most non-Icelanders seem to find it repulsive! The more adventurous of you will no doubt want to give it a try just to say you’ve done it, but as it reeks of urine or ammonia and can be rubbery, don’t say you haven’t been warned. Iceland is a country like no other. Beautiful, almost beyond belief, in an otherworldly kind of way, with its landscape reminiscent of the lunar surface in places it really can be nature in its purest, rawest, most elemental form. The mountains, glaciers, volcanoes, black sand, lava tubes, geysers, waterfalls, basalt columns, lava fields, caves, ice-caves, cliffs and oceans make it a paradise for some, a place to tick off a list for others. One thing is certain though, whichever of those two camps you fall into, you will find it hard to forget this incredible country. Roaming charges can be expensive while traveling outside of European Union. TravelSim provides cheap data and free incoming calls for Iceland.